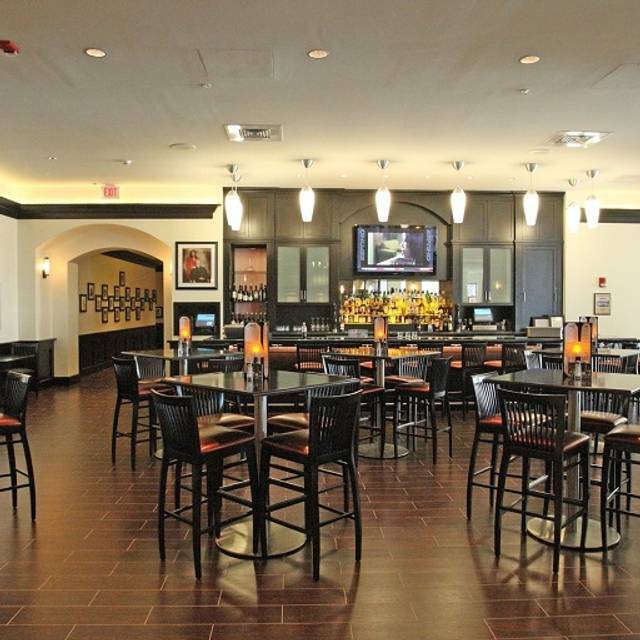 You must make reservations at least 5 minutes in advance of the time at Shula's Steak House - Hilton Richmond Hotel & Spa. *Our dining room will be closed on Sunday evenings. 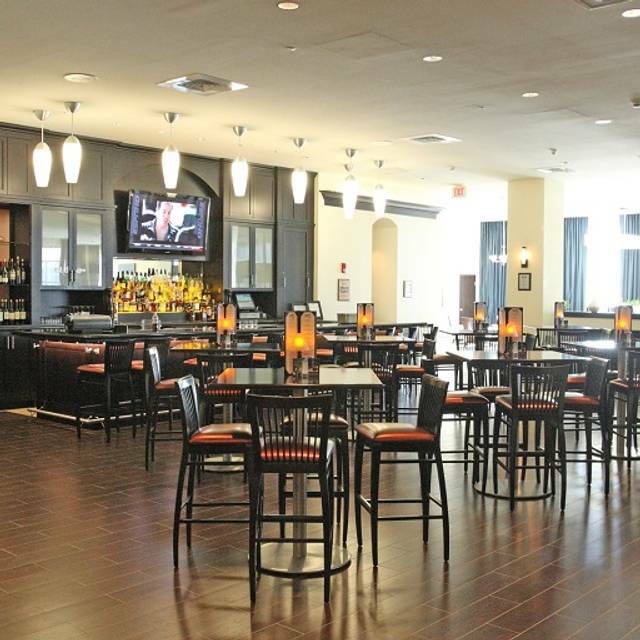 Our Bar & Lounge will remain OPEN during normal business hours as listed above. Private dining available. 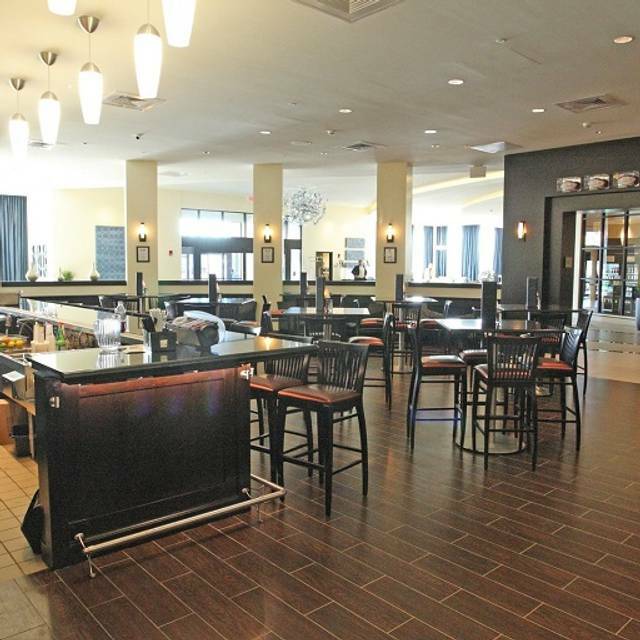 Contact us to plan your holiday party, next company meeting, business dinner or social event. 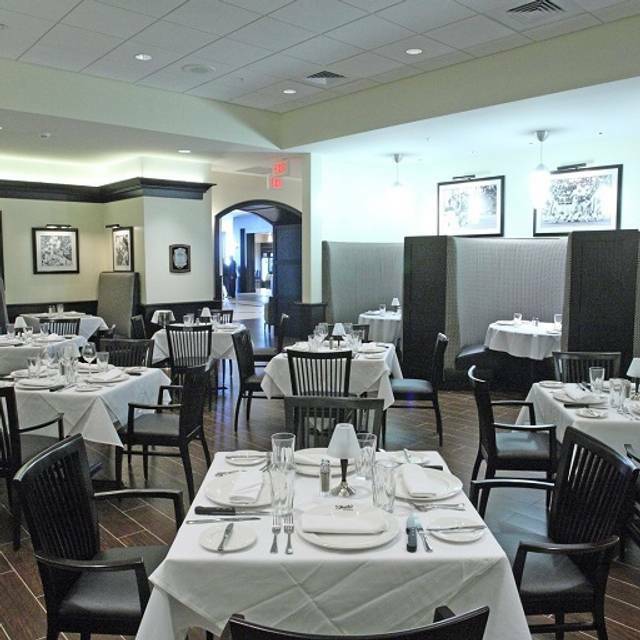 Shula's located within the Hilton Richmond at Short Pump is the classic American steakhouse and provides the perfect experience for private dining events. 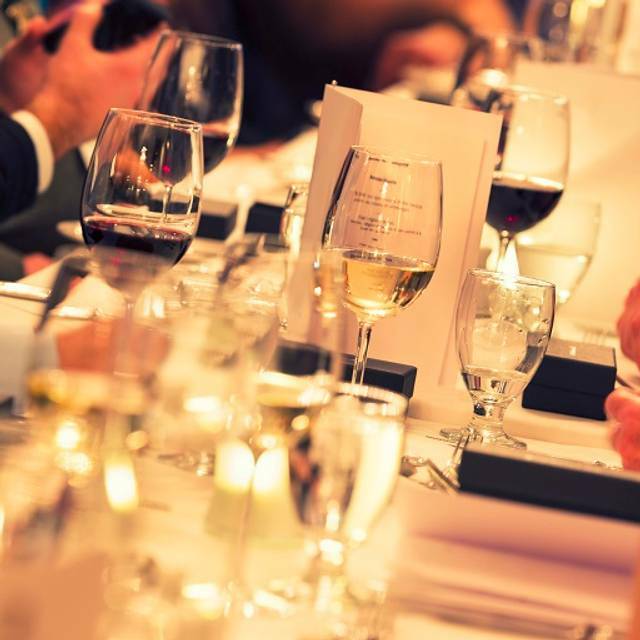 We invite you to join us for a night of fine dining and our signature Shula Cut steaks. 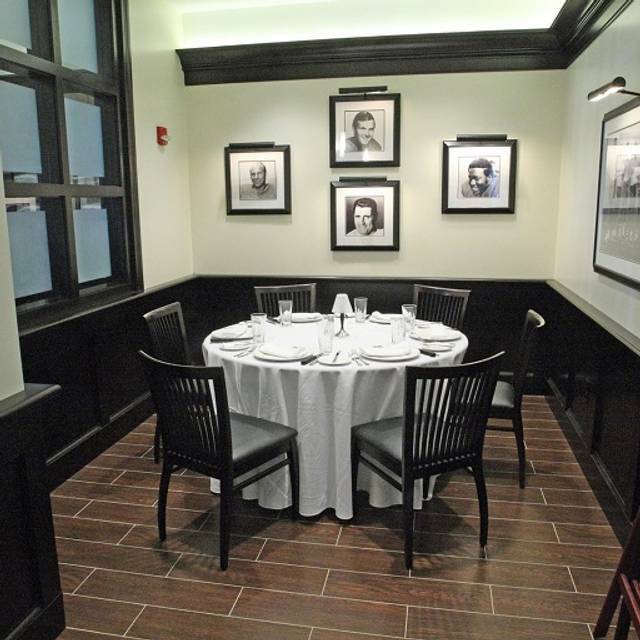 Shula’s elegant dining experience is themed after Coach Don Shula's Miami Dolphins 1972 undefeated season. With over 100 wines to choose from your palatte will be 100% satisfied. We pride ourselves on serving only the best. Our steaks are center cut Premium Black Angus and our seafood selection is always fresh. Why have steak anywhere when you can indulge in ours which is guaranteed to be "A Cut Above"? The entire experience was great. A special thanks to Beatrice. She was fantastic, a real asset to your company. We will be back. We had a wonderful meal at Shula's. The manager made sure we had a perfect table and our server seemed to be there just when we needed her. And as usual the steak was amazing! One if the best I've had in Richmond. The waitress was excellent and the food delicious. They weren't exceptionally busy when we went and there was some noise from the bar because of the basketball game. We really enjoyed the meal. It's definitely pricey though but we knew ahead of time. The food was excellent and James our server was awesome. The Rib Eye steak was cooked perfectly, tender and delicious. My Wife had the Crab Cakes and She says the best She has ever eaten. Crab Cakes were full of crab meat and not filler or bread crumbs. Upon arrival I provided my information and reservation time, I was advised I did not have a reservation in their system. We were seated, placed orders and it took a little over an hour to receive our entrees. This was disappointing considering there were two tables in the bar area in which couples sat and another couple arrived about 15 - 20 min in the dining area in which we were seated (Party of 4). If you have no other plans and staying in the hotel you might mind the wait. Hope this helps. Always a treat to have a great steak in a quiet space with friends. We had a wonderful birthday dinner at Shula's. The service was on point and the steaks were melt-in-your-mouth delicious. Since salads and sides are big enough to share, we split a wedge salad and potato gratin - both excellent, as was the warm sourdough bread. We missed the menu printed on the football, but otherwise it was a perfect dinner. It was great, wonderful food and service! Dinner was incredible!! Our server, Catherine was amazing from recommending the perfect wine, sides and incredible dessert!! The hostess Caroline amazingly helpful understanding a gentleman in our party wanted basketball score updates and that beautiful young woman kept visiting our table to update him! The manager, Shanda, cane to check on us and was so friendly and accommodating. Wonderful experience! Service was impeccable and the food was absolutely delicious. The chocolate molten is the best we ever had. We stop in for dinner every time we're in town. Great food & attentive wait staff! Perfect for special occasions! Shula's is an experience in and of itself. Very good food and service. They make you feel like you are the most important people there. It is our second time reading there. The first time was mothers day with 2 of us and our 5 kids 17 to 12 and it was so delicious and impressive. My wife has wanted to come back since then. This experience was just as good. Just the two of us Valentines Day and the brought her a rose (what about me j/k) and champagne to sip while we were eating our appetizers. Awesome! We opted for the 4-course prix fixe menu at $89 each. Waaaay too much food! Soup, shrimp cocktail, 2 salads, 2 entrees with veg and starch, 2 desserts. Big mistake on our part. We were maybe expecting smaller servings like you see on many area menus for a fixed price. We ordered 2 glasses of favorite red wine, and we were offered complimentary champagne. Couldn't do it! The restaurant offered such a sweet atmosphere with the dining room manager circulating with fresh roses for the ladies, and many kind words. The only imperfection was my choice of dessert: key lime ice cream sandwich. Rock hard and not very flavorful. Still an A+ experience! We really love Shulas, it's a wonderful choice for steak and closer to our home in Goochland County. The service was horrible, the meat had to go back several times, the side were cold, the servers were poorly trained! There were many people complaining. The food delivery from the start was delayed, longer than 45 minutes. The manager had to come in and assist with service. My family was so unhappy!!! We thoroughly enjoyed our evening. This is a great place if you want to have a nice, high end evening out to clebrate on a date. We were celebrating my boyfriends retirement. The food was delicious. Excellent food, everything was seasoned and cooked perfect. The waitress was attentive, courteous and professional. The service however was very slow. My spouse and I make a pretty good habit of seeking out higher end steakhouses around the country to try out. It’s like a personal journey to find our favorite steak. We decided on an impromptu Friday night get away and drove an hour up the road to Richmond. We chose Shula’s since we hadn’t been there before and and the meat selection looked great. We arrived plenty early for our reservation (for concerns of traffic) to find the restaurant pretty much dead. We were both very hungry and asked to be seated early. Given that there were only two other parties in the room we thought this wasn’t much to ask, but they still did not seat us for the remaining 45 minutes until our reservation. She got the strip with one of their signature sauces, and I a ribeye. Both pieces of meat were excellently prepared and were fantastically delicious. Thankfully, the sauce she ordered came on the side, because it tasted straight up like a packet of McCormick’s brown gravy. The server, though pleseant, was inattentive. When the bread never came, she blamed it on someone else. If you’re expecting a sever to leave you be to have a romantic meal this my be your place. If you’re used to a server in a $$ steak joint that cleans the bread crumbs for the table and doesn’t smell of cigarette smoke, you may want to consider another place. My ribeye steak was pretty good, but not really worth the $44. Can get the same or better quality at Longhorn’s for half the price. My wife’s 6oz filet mignon was kind of mealy and definitely not worth the $39. Baked potato came to the table only luke warm, bordering on cold. Bread was really good, and the service was excellent. Overall, only a fair dining experience. Excelllent food! The Apple Cobbler is amazing! Food and service was average at best. RESERVATION AT 6:00 PM. DINNER NOT SERVED UNTIL 7:30 OR LATER. HAD TO ASK FOR BREAD PLATES AFTER BREAD WAS SERVED. HAD TO ASK FOR SALT AND PEPPER. VEGAN OPTIONS WERE LAX ALTHOUGH ASKED FOR WHEN RESERVATION WAS MADE. WE WERE SEATED IN A PRIVATE ROOM WITH BRIGHT LIGHTS AND NO CANDLE ON TABLE, NO MUSIC. FELT ISOLATED AND FORGOTTEN. WILL NOT RETURN. Thanksgiving dinner at Shula’s was a great experience. Friendly and attentive service, a lovely atmosphere and really tasty food. Two thumbs up!! Celebrating my husbands 60th Birthday. We were there for a birthday celebration, 5 women. We got drinks, ordered dinner, and then the problems started. They brought out our entrees, but no sides. They said the sides would be soon. My steak was undercooked, so sent back. They brought sides about 15 mins later, with my filet, but said my side would be another 10 minutes. So, everyone's entree was cold when the sides got there. The coffee was served ice cold. By now, the waiter wouldn't even look us in the eye. We asked to speak to the manager, who was less than helpful, as she offered us a dessert. We ate, and no one came back to our table. We actually had to knock on the service door to get them to bring us our check, they still couldn't look us in the eyes or offer an explanation...there were only 3 tables seated in the entire restaurant! the manager did take some money off of our tab. The filet was good, though cold, and had no side, the chicken was dry and cold. Terrible service, no communication with us or kitchen prep coordination. Inexcusable! Great food and service. Side dishes were extra cost. Lovely staycation overnight. Shula’s is the hotel restaurant. Always a good bet for a steak. Wait staff not as good as past visits. Always a favorite for some out of town guests that don't have Shula's nearby. Food is well prepared, cocktails are tasty and service is always great! The service was exceptional and the food outstanding. Everything was delivered to our table hot and cooked correctly. My ribeye melted in my mouth. Service just terrible and extremely slow. Main restaurant dining always great. Went for lunch to the bar area. Will never return, except to main dining room. Used a groupon to try it. Service was great, but food was over priced. The waitress let us know they were out of approximately three entrees that included filet in them...mixed grill and steak Mary Ann were two of them. I thought that was odd. Well, our petite filets were good. The Brussels sprouts were good, not great. I know from preparing sprouts at home that these were sprouts that were "seasonally mature" because they had grown up from their base and had lanky stems, not leaves that were close to the base of the sprout. The meal was average overall. Wish I could give it a higher rating. Food was horrible and overpriced. All steak was burnt, dry and crumbled apart in mouth. Lobster mealy. Everything was ABYSMAL... Absolutely horrible. Go to Outback instead. I'm just being honest. Waitstaff was excellent though! Get new cooks! Waitstaff was excellent, however who you have cooking dulled their glow. Please, please, PLEASE replace your cooks. We spent 600 bucks. We did utilize a 200 buck groupon but we still came out of pocket 500 bucks with the remaining tab and gratuity. I'm just being honest. The food was absolutely horrendous! But staff was great. Loved them all including the hostess with the beautiful red hair. FIRE YOUR COOKS!